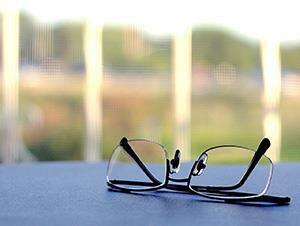 Have you ever seen those spectacles that can be screwed up, but then ‘rebound’ back to their original shape? If so, you’ve probably wondered, like I have, how on earth they work. After all, it seems to go completely against anything you’ve learnt or experienced about how metals behave. Paperclips, for example, once bent out of shape, are more likely to fall apart than resume their old shape. It might surprise you to discover that the shape memory effect, as it is known, goes back quite a few years – to the 1930s. But products incorporating materials that make use of this effect only came on the market a bit more recently, in the past few decades. Most of the materials known to have this shape memory are alloys – mixtures of two or more metals – and the most widely known one is a nickel–titanium alloy known as nitinol. The name comes from the two metals and the place its properties were discovered, the US Naval Ordnance Laboratory. The story of its discovery is a classic. A researcher called William Buehler was trying to make a better missile nose cone, one that was resistant to fatigue, heat and impact. A 1-to-1 alloy of nickel and titanium did the job, so he took some to show his colleagues at a meeting. The sample he passed round was folded up like an accordion. Someone, presumably trying to test its heat-resistant properties, heated it up with his lighter. To everyone’s surprise, the accordion-like strip stretched out and took its previous shape. So how does it work? As with so much in chemistry, the answer lies in the atomic structure. In nitinol, the titanium and nickel atoms occupy well-defined atomic positions relative to each other, whereas in many other alloys, the positions are random. When heated to around 500 degrees Celsius, it forms a very strong structure with cubic symmetry, known as austenite. This is very similar to the structure in many types of steel, which as we all know is pretty strong. Making the spectacle frames at a high temperature ‘locks’ the metal in the frames into the right shape. At lower temperatures, nitinol changes crystal structure to a monoclinic one that is much weaker. This is called martensite, and it allows layers of atoms to sort-of slip past each other. So at room temperature, the frames are flexible, but just a little bit of warmth gives them enough energy to spring back to their previous structure. Unfortunately, this structure is what hindered these miraculous materials from being used for so long. Making an alloy where the metal atoms are in defined positions is difficult, and costs a lot of money. And that’s why the first uses for nitinol were in fighter jets and medical devices, which are both areas where price for once can take a back seat to performance. The medical devices that make use of memory metals are stents and filters, which can be inserted in patients’ blood vessels and ‘inflated’ to get back their original shape and prop open those weak or clogged veins. In a less life-saving application, nitinol is also used in dental braces: body heat is enough to make the wires strain to get back to their original shape, pulling the teeth nice and straight along with them. And of course there are the glasses, magically springing back to their original shape after they’ve been sat on. For such a wonderful, almost miraculous, material, it almost seems a shame that its uses are fairly limited. Another limitation is the lifetime – over time and repeated bending, the material will suffer from fatigue, where cracks can develop and propagate. Even without external cracking, dislocations in the crystal structure can pile up and prevent the alloy from returning to the correct shape. But a new and better shape memory alloy, a combination of zinc, gold and copper, has recently been discovered. This offers better reversibility, with a much smaller shift in the crucial transformation temperature over many many more thermal cycles. So perhaps in future, more and more metallic objects will have that magical memory effect. Let’s wait and see. That was Chemistry World’s Neil Withers with the memorable chemistry of nickel-titanium shape-memory alloys. Next week, a fortunate accident? In 1931 Arthur Fox, a UK-based organic chemist at DuPont, accidentally released a plume of a fine crystalline powder in his laboratory. He was surprised to hear his colleague complain about how horribly bitter the compound tasted, especially as he himself, who was closest to the compound, could taste absolutely nothing. Discover why this taste was absent, and the chemistry behind this, by joining Stephen Wallace in next week’s Chemistry in its Element. Until then, thank you for listening. I’m Meera Senthilingam.